What is Kids Who Care? Our main office #266 is located on the 2nd Floor, of the North Wing of the Arts Center. As you enter the Scott Theater Lobby turn right, take the hallway to the stairwell that leads to the second floor. As you come out of the stairs, turn right and then go left to our main office next to the copy machine. Arts Center Parking is located in the surface lot across the street and in the Western Heritage Garage. Parking Rates for the cultural district are set by the City of Fort Worth and vary by time and day. Click here to see parking maps. Click here to get up-to-date information on all upcoming Kids Who Care events! 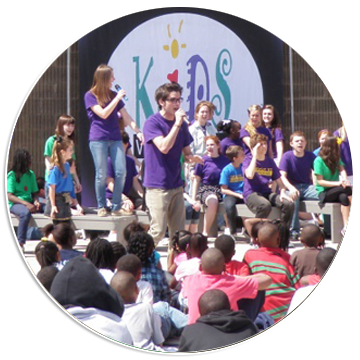 Kids Who Care is a Musical Theatre Production Company, but with a name like Kids Who Care, we are obviously so much more. Our desire is to create a place where the child is cherished. Through exposure, education and experience in the performing arts and entrepreneurial leadership, we produce great kids. We invite the brightest artistic and business professionals and community volunteers, who adore children, to join us. So, when the lights go up, we all find delight. 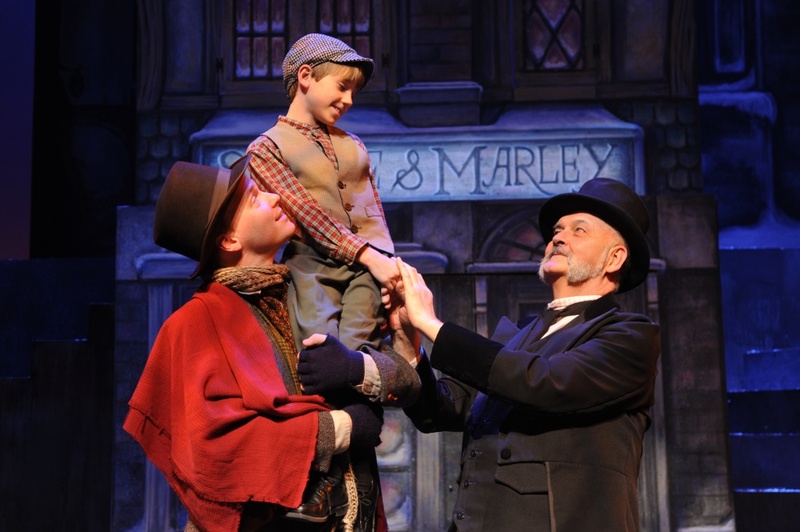 "We are a musical theatre company for all ages. Obviously with a name like Kids Who Care, we are more than theatre. At the end of the day, what we produce are great kids! As we work together in an ensemble company, kids learn how to create great work and at the same time, how to take care of each other. As a producer of musical theatre, I want to create something out in the world that changes thinking, or at least encourages hopeful thinking. While all of our work is legit entertainment, it should give a sense of hope in the end. Kids find us either because a parent sees something extraordinary in the living room, or the kid is dying to get in front of an audience. Our job is to maximize what happens to that child when they land here. We give kids an avenue to take what they are doing in their living rooms and create a professional venue for it. We are a very traditional theatre company, in that the skills taught here translate to any professional theatre. However, because we are a theatre that adores kids, we are intentional about selecting a professional staff that wants to do what we do. Kids Who Care is an international company. Since 1989, we have hosted students from countries including Israel, Italy, Indonesia, Germany, Russia, Albania, Switzerland, Finland, and Scotland. We are happiest in a sea of kids speaking many different languages!! Visit us in the middle of July Camp and see what I mean! When you leave any Kids Who Care performance, we hope you have laughed hard, cried a little bit, and feel better. For a moment we sit together, all ages, and watch Kids Who Care and feel like the world is going to be ok."
Beginning in 1989, Mrs. Jung has produced and directed tours of Kids Who Care's Original Musicals, performing in New York on Times Square and Off Broadway at both the People's Improv and the Lamb's Theatre, appearing at the Kennedy Center, Bass Hall, Disneyland, in addition to venues in Los Angeles, Italy, Germany, Albania, Washington D.C., Chicago, Houston, San Antonio, Austin, Orlando, Nashville, across Texas, and at 30,000 feet in the air on the American Airlines Wish Flight. In addition, Deborah has directed for Kids Who Care main stage productions including A Christmas Carol, West Side Story, A Christmas Story, Peter Pan, A Midsummer Night's Dream, Annie, Joseph and the Amazing Technicolor Dreamcoat, Godspell, Narnia, Wizard of Oz, You're A Good Man Charlie Brown, and The Best Christmas Pageant Ever. Under Deborah's direction Kids Who Care has produced Family Concerts with Peter Yarrow, Trout Fishing in America, Sara Hickman, Inca Son, Eddie Coker, and Joseph Vincelli. Mrs. Jung designed Kid Power Leadership in 1993. This leadership model, originally designed for summer student leaders, has become an essential element for all leadership at Kids Who Care with annual training for the Board of Directors, professional full time staff, and professional contracted artists. 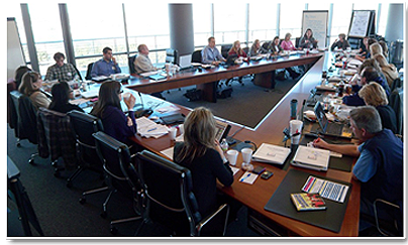 As a consultant, Mrs. Jung and the KWC Staff produce Kid Power Leadership workshops for corporations, schools, and other non-profits staffs and boards. 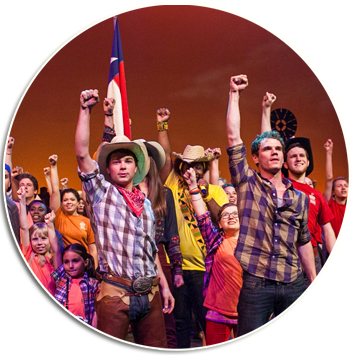 Past workshops include Texas Christian University, Tarrant Area Council of Churches, Trinity Valley High School, San Angelo Broadway Kids, and Theatre Arlington. Prior to founding Kids Who Care, Jung was in the Resident Co. at Casa Manana Playhouse (1975-1989) where she directed and/or appeared in over 75 productions. For ten years she was the Company Manager for Fort Worth Shakespeare in the Park. During that time, Deborah created the Shakespeare Acting Institute and appeared onstage in Hamlet and Macbeth. 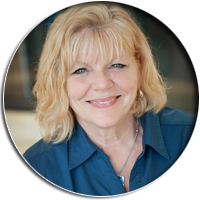 In addition to her professional theatre credits, Deborah has worked with special populations including Mental Health Mental Retardation, Tarrant County Juvenile Detention Center, Texas Gifted and Talented, Cook Children's Hospital, and the Creative Drama Network. 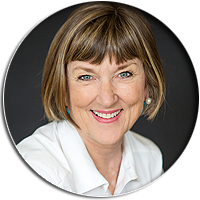 Mrs. Jung received her BA in Speech and Drama from Trinity University in San Antonio in 1975, with a Secondary Certification for Speech and Drama with the Texas Education Agency, and is a member of Who's Who, Mortar Board, and past member of Actors Equity Association. Deborah was a 2007 Great Women of Texas honoree and the 2008 Legacy of Women Award recipient for the Arts. Kathryn Albright received her B.S. in Communication Disorders and her M.A. in Audiology from the University of Texas at Austin. 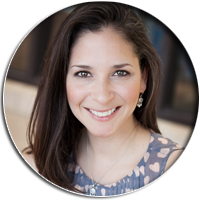 She practiced Audiology for over 15 years during which time she published numerous professional papers and conducted professional development workshops as an advocate for newborn hearing screening implementation all over the nation. In 2000, she joined the Staff of Kids Who Care as part-time Development Director where she was responsible for grant writing and fundraising. Through her tenure she has served as Marketing Director, International Relations Coordinator and as the Business Operations Director responsible for the day-to-day administrative operations of the organization. She has returned full circle to Development Director where she, in conjunction with the Executive Director and the Financial Development Team, continues to secure funding to allow Kids Who Care to fulfill its mission. She continues her work with the international exchange program. She is also a KidPower Leadership Trainer and the KidPower Leadership Board sponsor. Kathryn also contributes poems and prose to the original Kids Who Care production scripts. She is married to Jon and they have two daughters, Rachel and Madeline. Hope joins the Kids Who Care Staff after growing up in the company, then going on to receive her BFA in Theatre with an emphasis in Theatre Education and her Teacher Certification from the University of Texas at Austin. As a Teacher, Hope began her career teaching kindergarten through fourth grade Theatre Arts at KIPP Austin Comunidad, a bilingual elementary school in Austin, TX. She then taught Technical Theatre, directed the Advanced Theatre Production class, and assisted with the One Act competitions and the Musical Theatre class at Hendrickson High School in Pflugerville, TX. 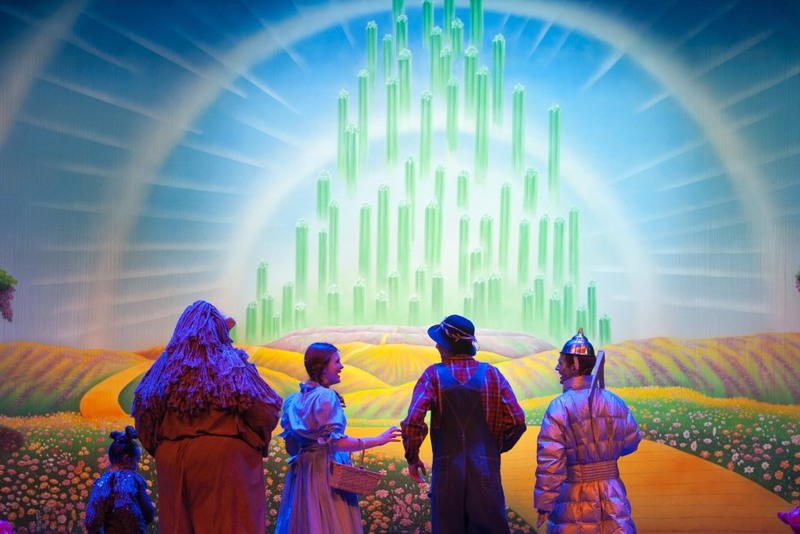 She will be teaching Storybook Theatre, Actor�s Studio, and Audition Techniques this year. 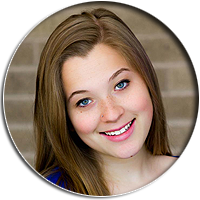 As a Director, Hope recently lead the productions of Lily Plants a Garden at Anderson High School and Kentucky Cycle: Fire in the Hole at Hendrickson High School. As an Assistant Director and Assistant to the Director, she has cultivated a long career with Kids Who Care assisting with the productions of The Little Mermaid, You�re a Good Man, Charlie Brown, Shrek, Peter Pan, and many July Original Works, including this year�s Earth and Soul. This will be her second year as Assistant Director of the KWC Resident Company. Billie has been associated with Kids Who Care since 1992. First serving as a Volunteer with Kids Who Care in Production, Resident Company Touring, and Cookin' for Kids, Billie joined the staff in 2000. Billie is currently the Administrative Assistant. Kristen Thiebaud joined the Kids Who Care staff as Public Relations and Booking Director Full time in January of 2015. 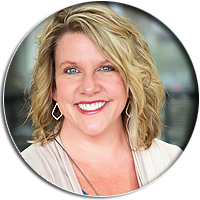 With a keen ability to connect people and the proven skills of originating publicity on a limited budget, she's helping to fulfill the mission of Kids Who Care to perform in Places of Power, Places that Matter, and Places of Purpose. Thiebaud was part of the Southwest Airlines Marketing Team that launched the ability to book hotels and highlight destination specific marketing on southewst.com. She also served as Promotions Director for 96.3 KSCS, and was successful in growing the brand and increasing listener engagement through on site and on air events while building a large network in the Dallas/Fort Worth Metroplex. 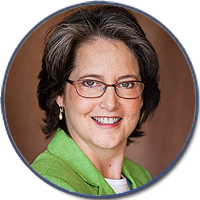 She's served on multiple volunteer steering committees, including GrapeStomp! for Grapefest 2001-2004 and as Communications Chair at First United Methodist Church of Burleson. With two children in the Kids Who Care Resident Company, Kristen is thrilled to be part of an organization where the child is cherished. Amanda has been part of the Kids Who Care family since the age of seven as a student, a Resident Company member, a KidPower leader through every level, a returning guest artist, a songwriter, an Alumni Board committee chair, an Alumni Liaison for the Board of Directors, and is now rounding out her twenty-one-year KWC career as a member of the professional staff. Amanda has been involved in Educational Outreach initiatives while attending Stephens College in Columbia, MO, and also through Casa Manana, where she taught Creative Dramatics in after-school programs. Also with Casa Manana, she toured an educational production to many schools and boys & girls clubs in the daytime while performing in their Playhouse season in the evenings.www.chadrjungdesign.com As an actor in the DFW area, Amanda has been seen in many productions in leading, featured, and supporting roles, including: In the Heights (Daniela, Regional Premier); Into the Woods (Witch); Debutante Warriors (Jenny, World Premier); West Side Story (Anita); The Spitfire Grill (Percy, Regional Premier); Anything Goes (Reno); and many more. She is also constantly writing and recording music, and singing with a number of different bands and musicians, including her husband, Trey, across the metroplex. 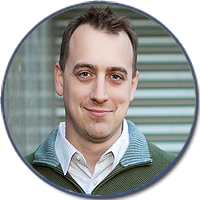 As Production Manager for KWC, Chad manages the execution and design of each main stage production. As Resident Lighting Designer for KWC, he works side by side with students and young professionals to inspire the next generation of artists and leaders who will reach far beyond live productions. In addition to working with Kids Who Care, he is a Lighting Designer who has designed more than 300 productions for opera, theatre, music, and dance. Opera credits include more than 50 productions for a companies including Atlanta Opera, Dallas Opera, Fort Worth Opera, Op�ra de Montr�al, Palm Beach Opera, Opera San Antonio, Opera Tampa, and Sydney Opera House. As lighting director for the Fort Worth Opera Festival, Mr. Jung has designed a vast repertoire of opera including the critically acclaimed world premiere of JFK. As a Teacher, Hope began her career teaching kindergarten through fourth grade Theatre Arts at KIPP Austin Comunidad, a bilingual elementary school in Austin, TX. She then taught Technical Theatre, directed the Advanced Theatre Production class, and assisted with the One Act competitions and the Musical Theatre class at Hendrickson High School in Pflugerville, TX. She will be teaching Storybook Theatre, Actor's Studio, and Audition Techniques this year. As a Director, Hope recently lead the productions of Lily Plants a Garden at Anderson High School and Kentucky Cycle: Fire in the Hole at Hendrickson High School. 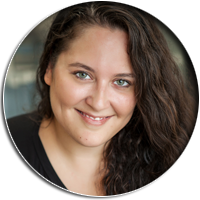 As an Assistant Director and Assistant to the Director, she has cultivated a long career with Kids Who Care assisting with the productions of The Little Mermaid, You�re a Good Man, Charlie Brown, Shrek, Peter Pan, and many July Original Works, including this year�s Earth & Soul. This will be her second year as Assistant Director of the KWC Resident Company. Mr. Larson is president and managing director of Mellina & Larson, PC. He and his wife, Nancy, live in Fort Worth and have two children, Benjamin and Marguerite. Jack previously served on the TCU Board of Trustees, as President of the TCU National Alumni Association, and Chairman of the TCU Clark Society Board of Directors. He is a past Chairman of the Board of Directors for the Arts Council of Fort Worth and continues to be an avid supporter of the arts. He is a past member of the Citizens Oversight Committee for the Fort Worth Independent School District Capital Improvement Program and is active on the PTAs at his children�s schools. Click Here to Learn More about Jack Larson. Jack Larson -- President -- Mellina & Larson, P.C. Gwen Perez -- Past President -- Freese and Nichols, Inc.
Carrie Harrington -- FWISD Ret. Malissa Perkins Summers -- Oil & Gas Title Atty. John Kiliany -- Red Lobster, Inc. It all begins with "EXPOSURE!" With credits in Albania, Italy, Germany, Los Angeles, New York, Washington D.C., Houston, Chicago, Austin, Kansas, Boston, Orlando, San Antonio, and all across the Fort Worth Metroplex, KWC is now reaching in excess of 10,000 children each year through the Kids in the Community program. The program is designed to impact children of all ages by meeting them in their comfort zone -- THEIR OWN COMMUNITY! As a result of this exposure to live theatre, many children choose to study the arts. The entrepreneurial style of leadership at KWC, combined with a skill specific arts education and compassionate staff, is producing great community leaders. For more information about booking the Resident Company for your community event, contact Kristen Thiebaud. 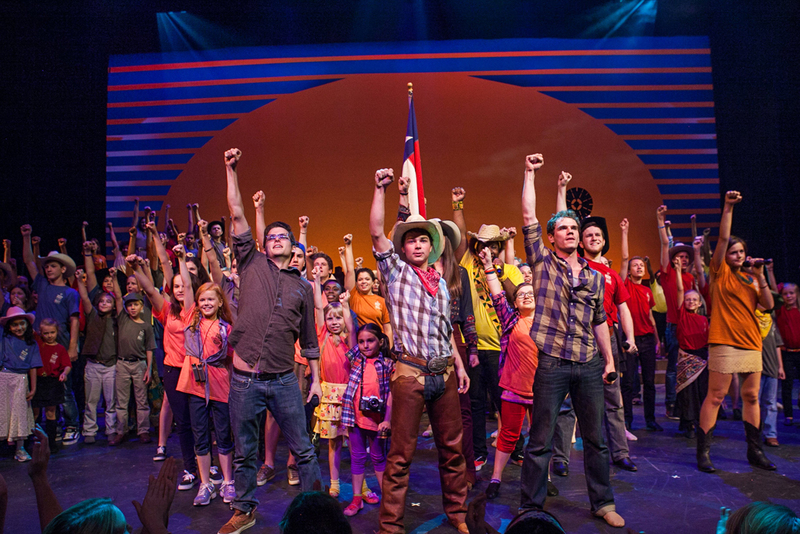 Kids in the Community takes musical theatre performances to places where children and families gather. 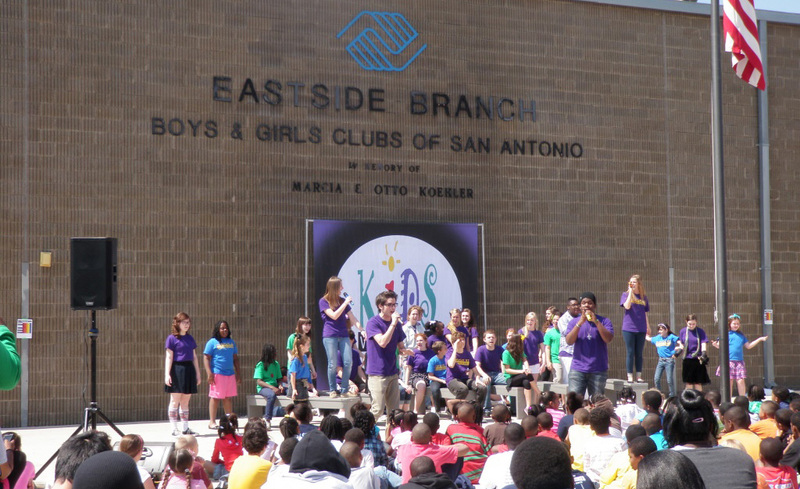 Since 1989, our Resident Company of Youth Actors (1st - 12th grade) has performed KWC original musicals at schools, Cook Children�s Medical Center, Boys and Girls Clubs, gala events for other non-profits, and community festivals. About 50% of these performances are provided at no cost to the hosting organizations. 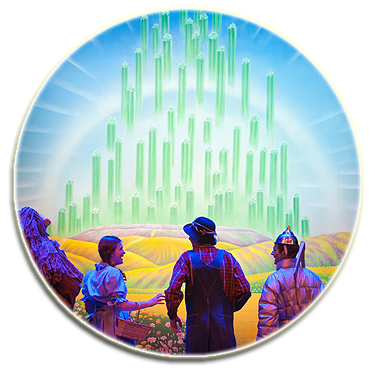 Our Tickets and Transportation program ensures low-income students are exposed to live theatre by providing grant-supported tickets and transportation to attend KWC productions at the Scott Theatre. Nights of Giving is a collaborative effort between Kids Who Care, the Junior League of Fort Worth and area social service agencies that serve families. 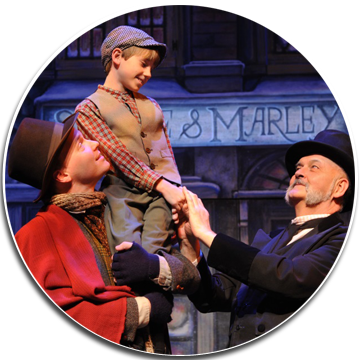 Agency clients are invited to attend a live theater performance at no charge so they can enjoy a normal family outing. Our Hope Scholarship Program removes financial barriers by providing tuition support for musical theatre and leadership education and experience. Kids Who Care celebrates our Alumni. From an engineer building bridges in Seattle, an English classroom in North Carolina, or on a Broadway stage, KWC alumni continue to make a difference. KWC has produced a generation of incredible people with wonderful stories. Kids Who Care believes international exchanges are essential to developing strong leaders and diverse artists. We create global minded individuals through summer exchanges, international study tours and the home hosting experience. Students are home-housed while in Fort Worth and participate in a schedule of activities that introduce them to Texas culture. Organized activities include sporting events, museums, theatre, shopping, culinary and family fun. Everything from a family soccer day to a trip to Billy Bob's for Texas line dancing makes the experience complete. More information about Fort Worth. The Resident Company welcomes international exchange students living in Fort Worth to participate in Kids Who Care year round. 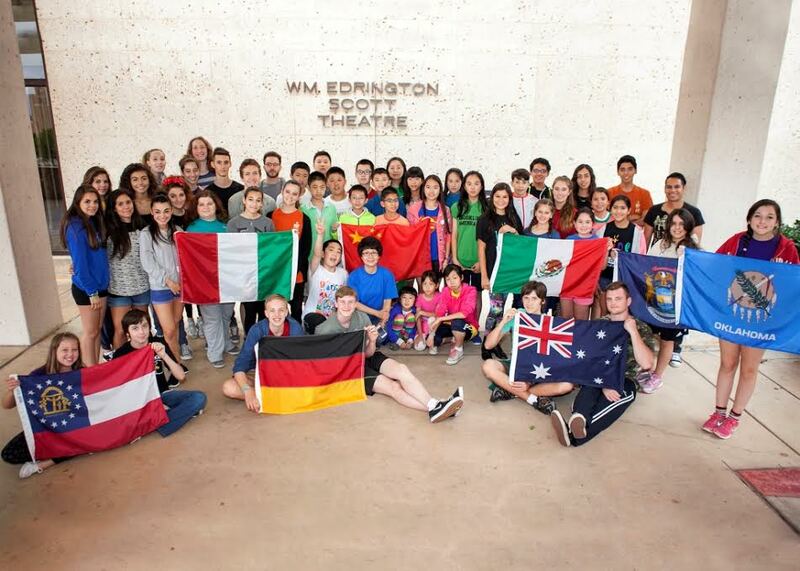 Contact Kathryn Albright if you're interested in attending Summer Camp as an exchange student, or delegation leader. Each Summer, Kids Who Care welcomes 40-60 students and their chaperones from countries from all over the world. We need friendly, flexible and FUN families who can co-create an incredible Texas adventure for our guests. 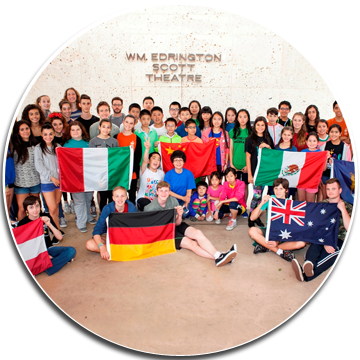 All exchange students stay with host families for the three weeks while they participate in July International Musical Theatre Camp. This gives our guests an authentic Fort Worth experience. Host Families welcome guests as part of the family. Hosts provide transportation to and from camp and activities, breakfast, dinner and weekend meals. Exchange students have prepaid for lunch at camp, camp tuition, activities and medical insurance. Background checks and home visits are required for all host families. Download a Host Family Application from the call board or contact Kathryn Albright, 817-737-5437 for more information. The Kids Who Care Professional Staff, Alumni, Leaders and Resident Company have a rich history of international exchange. When abroad, Kids Who Care connects to city and world leaders, provides workshops for schools and teachers, and creates performances in traditional and non-traditional venues. Past exchanges include Reggio Emilia, Italy; Novellara, Italy; Trier, Germany; Menashe Region, Israel; and Albania. To bring Kids Who Care to your community, contact Kathryn Albright, International Community Relations or 1-817-737-5437.